As I was packing my bags for my 4th visit to Ladakh, Kahini (my wife) asked me “So what different are you going to shoot out there. I have seen those stereotype landscape shots from you many times!” I didn’t know what to reply and left it to fate. As I started yet another morning in Masai Mara, a couple of safari vehicles deep inside the grassland caught my attention. Long distant binocular investigations were not very clear so we decided to check the spot before heading ahead. 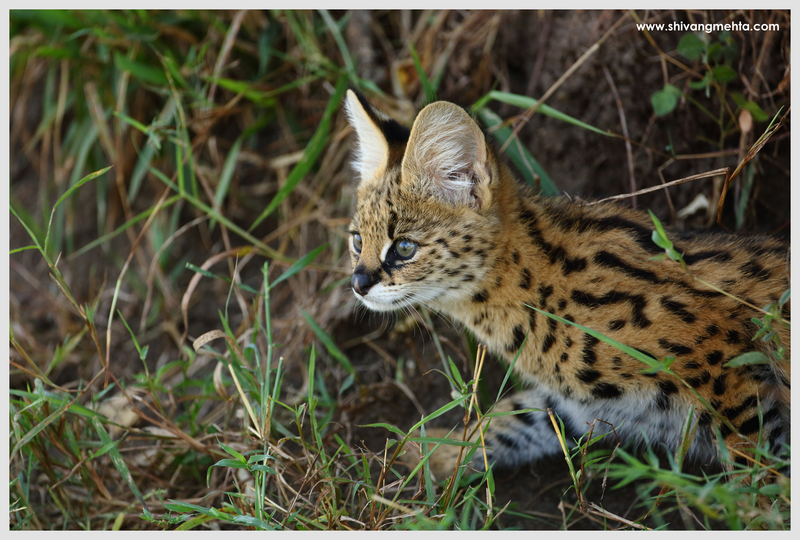 Heading towards the spot from a distance a swift Serval cat was spotted leaping inside the tall grass in search of its prey. 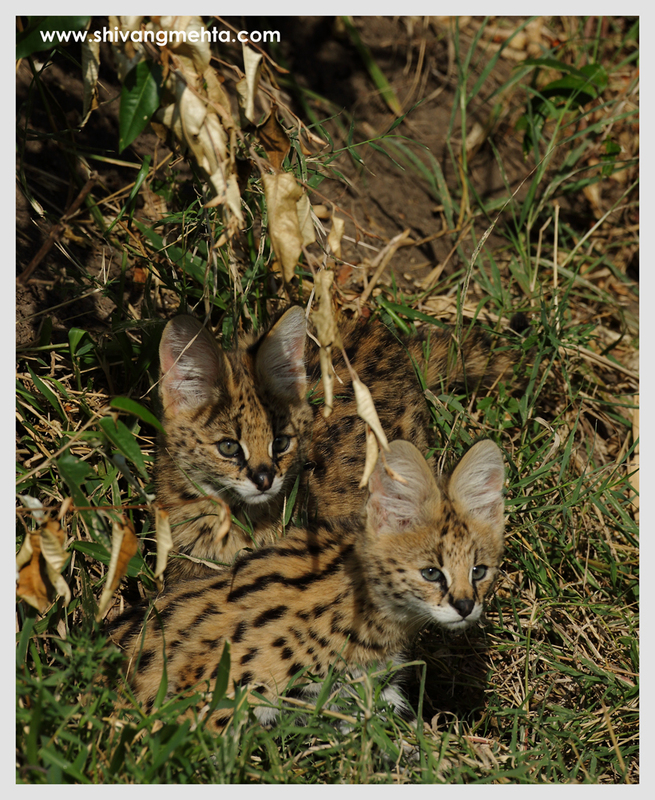 The rare, shy and ever gorgeous Serval was hardly few feet away from me but the shooting conditions were tough as visibility was poor because of the grass. These are times when you feel helpless for the precious golden light was lighting up the sparse visible patches of the coat. I had targeted to hit a particular pride of lions that morning and this was a difficult subject to leave. As I was battling these thoughts, the vehicles decided to move on and I was left standing with the Serval. Minutes later she decided to move as well and we started following her. Not so far off was a small mount and her trajectory was straight towards it. “Will she be out of the clearing and climb up on this mount?” I thought. 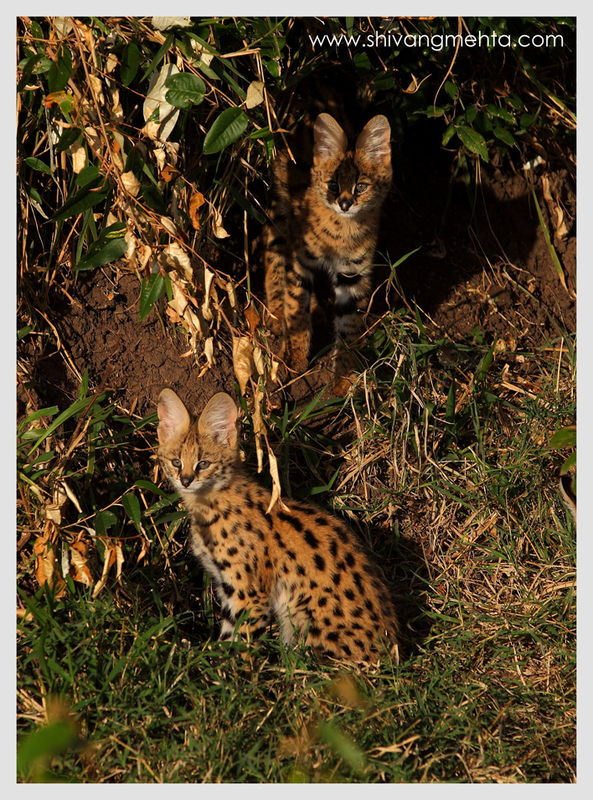 The Serval approached the mount and before I could reach the spot she vanished in the grassland. “What a waste of a morning?” I cursed my luck. Just when I had given up a sudden movement in one of the burrows inside the mount caught our eyes. 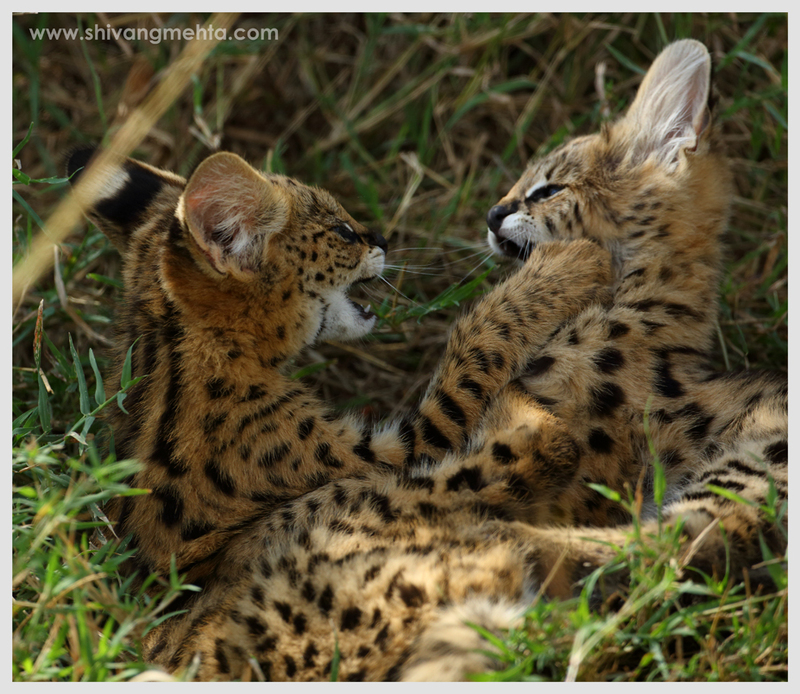 A wait of another 15 minutes and the mystery began to unfold with 3 small Serval cubs springing out of the burrow one by one. The next hour was one of my most cherished moments of Mara as the 3 kittens posed in dramatic light conditions exhausting the camera memory rapidly. Fortunes can really turn upside-down in the wild within seconds!